Click HERE to read a preview about today's game between the Bluehawks and Rocky Mountain College! Click HERE to listen to Jay Liggins speak on a national podcast featuring up and coming NFL Draft prospects! The scouts will find you no matter where you come from. Click HERE to read our weekly letter, which comes to us from Head Coach Pete Stanton this week! Click HERE to read an article about Senior DB's Jay Liggins and Cain Boschee! Click HERE to read an article about Senior Seth Moerkerke! 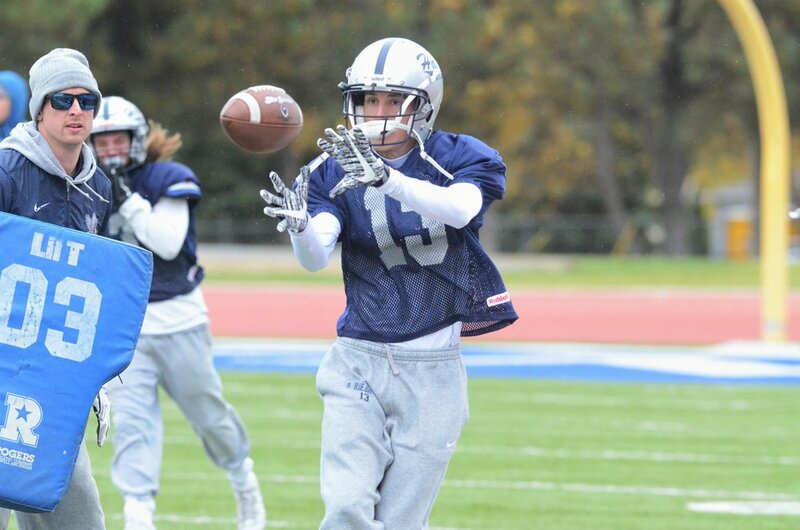 Click HERE to read an article on Blue Hawk Receivers Chase Andersen and Randy Ivey! Click HERE to read the full game summary of the Blue Hawks dominant ground performance against Presentation College! The Blue Hawk Touchdown Club has teamed up with hawksareup.com to provide you with a series of exclusive stories on Blue Hawk Football traditions and alumni. The first installment of this series covers the history of the connection between Baker High School and Blue Hawk Football. CLICK THE PICTURE BELOW FOR THE FULL STORY.